Everywhere you look you can see advertisements and articles discussing the importance of that famous three digit number, called a credit score. Credit scores affect every aspect of our financial lives – qualification for loans, the interest rates we pay, employment opportunities, and even insurance premiums. Unquestionably, a consumer’s credit score has become one of the single most important criteria reviewed and considered by today’s credit driven society of lenders and potential employers. The information reported by the credit bureaus about you impacts almost every part of your financial life. Does your Credit Report Tell the Truth about You? Probably not. Credit scores are based upon information reported on a consumer’s credit profile. The 3 main credit bureaus maintain credit profiles on more than 100 million Americans. Unfortunately, statistics show that approximately 3 out of every 4 credit profiles contain potentially serious errors. • 79% of credit reports contain some type of error. 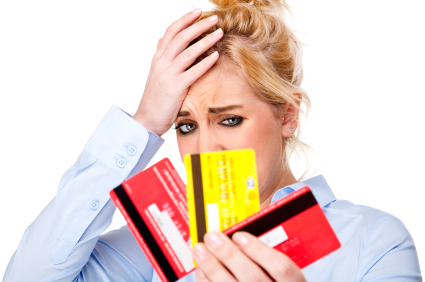 • 25% of all credit reports contain errors serious enough to result in the denial of credit. • 29% of consumers have variances of 50 points or more in their credit scores as reported by each of the three major credit bureaus. • 30% of credit reports contain credit accounts that had been closed by the consumer but incorrectly remained listed as open. These errors are costing consumers billions of dollars in unnecessary costs. How much does inefficient and inaccurate reporting cost you? Not Happy About What You See On Your Credit Report? You’re not alone. Unfortunately, few consumers fully understand what constitutes a correctable error on a credit profile. Many are busy with everyday life – raising a family, working, etc. and just don’t have the time to devote to researching their credit rights. As a result, few consumers actually dispute their credit profiles effectively and that’s exactly what the bureaus want for their clients. Identity theft further complicates the matter. Millions of Americans suffer from credit profiles corrupted by improper and unauthorized use of their credit information. All told, consumers are stuck with the daunting task of navigating legal frameworks while disputing with unresponsive credit bureaus. This unbalanced playing field creates only one major loser – the American consumer. At InCreditable Advisors, we employ the most effective approach to credit repair – it’s nice to know you can expect progress every month. We are here to help you achieve an awesome credit profile. We work vigorously to resolve issues on your credit reports. We work on items that should be deleted or removed, items that should be updated, and items that should be re-characterized. We’ve studied credit reporting, the credit bureaus and creditor reporting methods to maximize the results we can obtain for you.